The Navy G-1 Full Cut jacket by Cockpit jackets, formally known as Avirex, is a flying jacket made for the Navy Aviator. All flight jackets made by CockpitUSA are authentic to the original designs and are made of the finest materials. 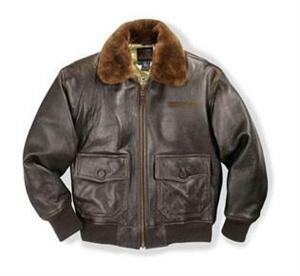 This aviator jacket is as practical as it is stylish(the features are included below). 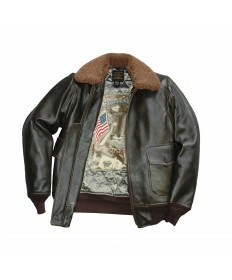 You will turn-heads whenever your seen with this Navy leather flight jacket on as it keeps you warm. The Navy G 1 flight jacket will never disappoint. -under arm grommets w/2 inside chest pockets.